This system is designed to simultaneously label the top, bottom and leading edge of various sized clamshell or baked good containers. Features include food grade belting, stainless steel construction and innovative wipe down module. The configuration allows operators to change to “bottom labeling” only without change parts. 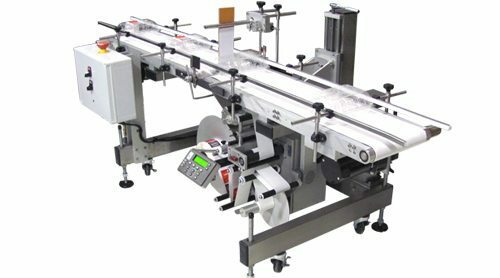 The label applicator dispenses the label in an upward motion to the dual squeegee impressers.